How can I use my own domain to host my podcast feed or show page? At Pippa, we let you choose your own feed URL. This will give you better control over your podcast brand identity and can be done in just a few steps. For this example, we'll assume you have a domain called mydomain.com and that you'd like to have podcast as the subdomain. Then podcast.mydomain.com will show your Pippa website, and podcast.mydomain.com/feed will show your RSS feed. Select your own root domain, or subdomain you want to use. Contact us via the little chat bubble at the bottom of our Pippa app and share your selection with us. We will add it to our system. 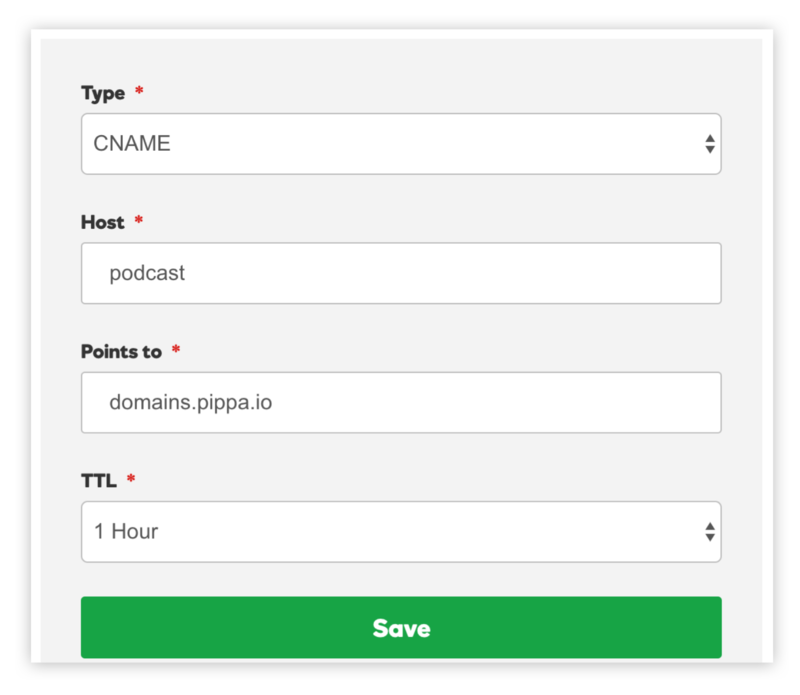 Log in to your DNS provider and add a CNAME record pointing to domains.pippa.io from your preferred subdomain. If you use NameCheap, choose Advanced DNS, and enter these values.